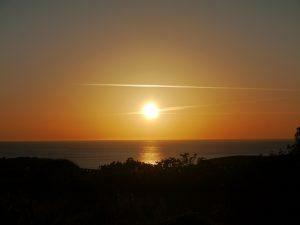 Sardinia holiday in a safaritent or lodge with seaview in Sardinia! Relax holiday in a safaritent or lodge with seaview in Sardinia. 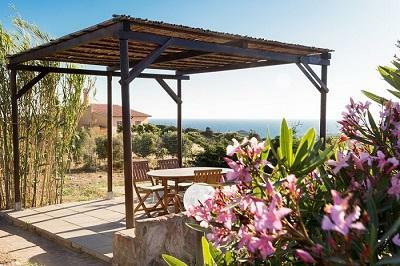 Sardinia holiday, lodges with a seaview. And now……..relax! 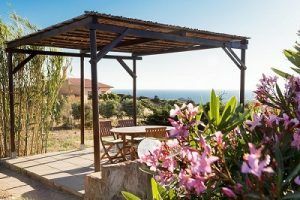 A Sardinia holiday in one of our two lodges is very relaxing. 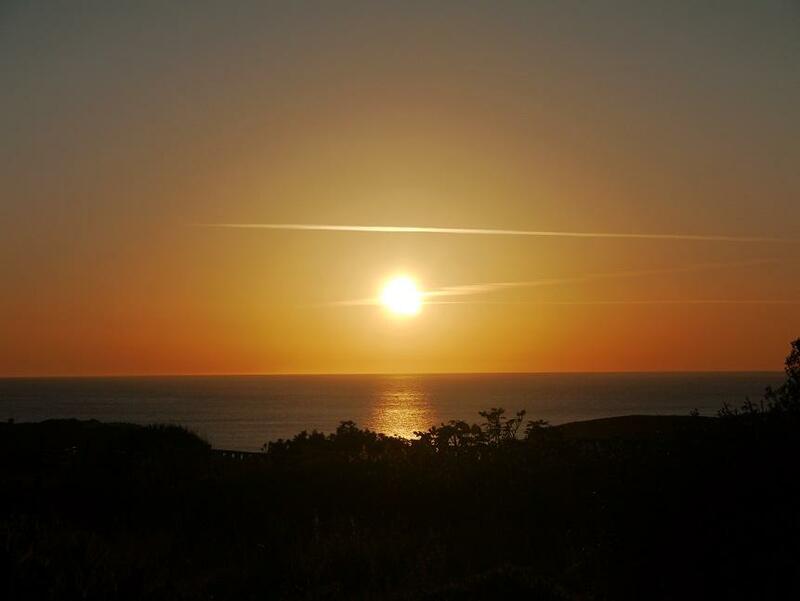 They are at a beautiful location in pure nature and have a stunning seaview. If you like to relax and are looking for a quiet place where the only sounds you hear are birds, wind and sea, than our lodges will be perfect for you! The lodges are on the beautiful island of Sardinia, the second largest island in the Mediterranean Sea. It is one of the islands belonging to Italy, just below Corsica and above Sicily. The exact location is Sant Antioco, in the Southwest of Sardinia. The lodges are nearby the bay of Cala Sapone, about 1000 m. and are on a hill. So that’s why you will have this great and wide view over the Mediterrenean sea. You wil find our lodges at the westcoast of Sant Antioco. Sant Antioco is sometimes called Sardinia in miniature, it is the fifth largest island of Italy. It shows many similarities to the mother island, like the four different coastlines. There are only two lodges, the Beach lodge and the Safari lodge. They both have the comfort of a cosy home, good ortopedic beds, a kitchen with everything you need to make a meal yourself, and a private bathroom. But the most unique thing is the terrace with seaview where you can watch the sunset every evening at sea. 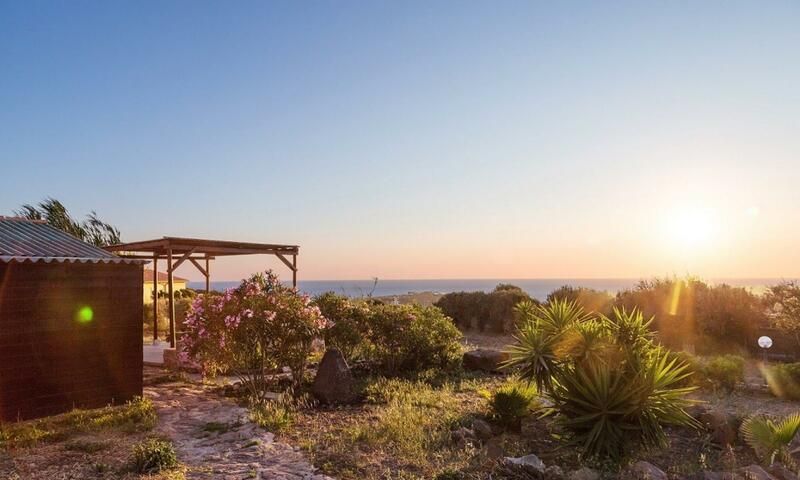 You can rent at Ecolounge Sardinia the Beach lodge or the Safari lodge .Both have a stunning view over the Mediterranean sea. What makes it unique is that you can also order dinner on your private terrace. We will serve everything you order at your lodge. If you like you can also book a package Sunny mind up. Sunny mind up is a method created by Monique. She uses yoga, mindfulness, Qigong, respiration techniques and meditation. You will completely relax. So you can enjoy your holiday even more!